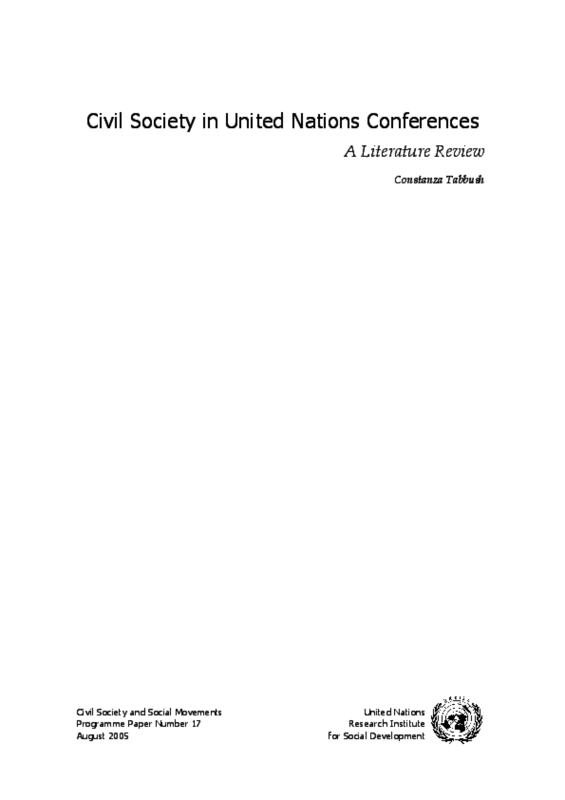 This literature review is part of a broader United Nations Research Institute for Social Development (UNRISD) project exploring the interactions between civil society and the international system of governance. More specifically, the project seeks to evaluate the impact of various United Nations (UN) summits on civil society at local, national and global levels. Copyright 2005 United Nations Research Institute for Social Development (UNRISD).